Good Morning! We hope your week is going well. We have a great way to close out the month of March, with a party. 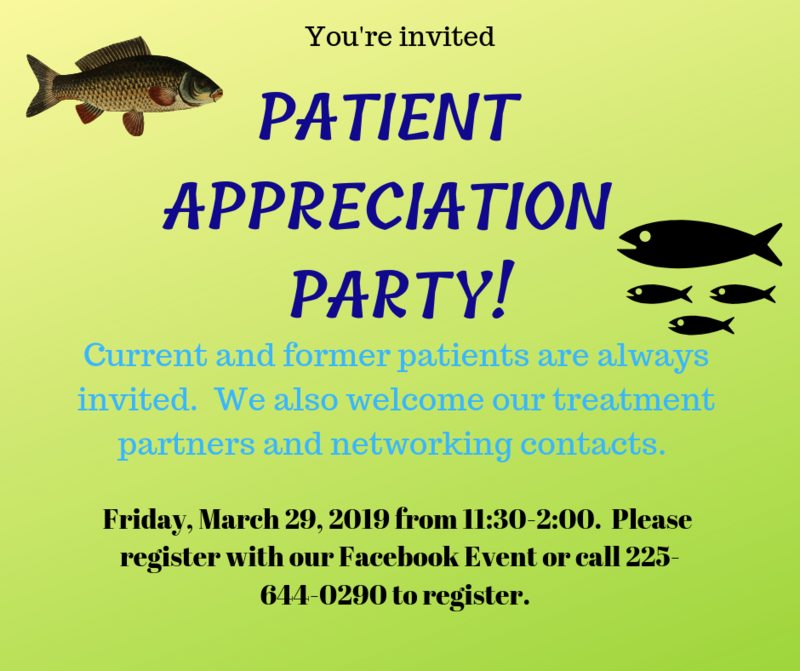 Don't forget, current & former patients, we are having a Patient Appreciation this Friday. And if you just want to check out our clinic or meet David, you can come by too. Just give us a call! Hope to see yall there!